Roughly, with the linear relationship more or less, 2 years of urf math will increase the surplus 2x-4x of the GDP increase of the developed world, up to about surplus 10x of the least developed world, averaging about 5x surplus boosts. 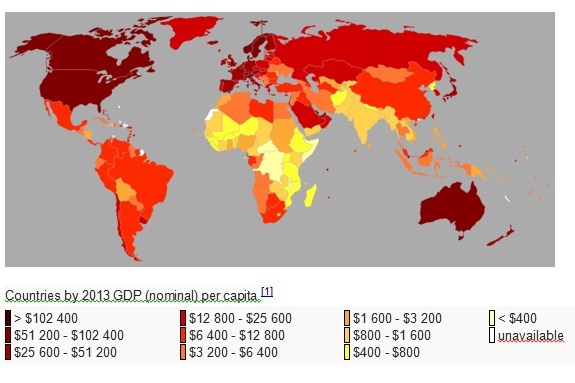 Countries by 2013 GDP (nominal) per capita. 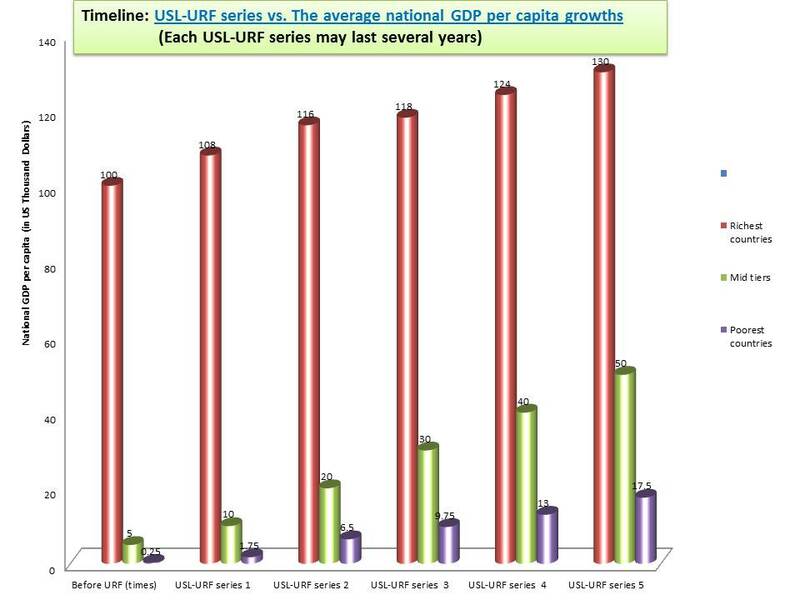 So, the breakdown of URF boost of the national GDP per capital is as follows. So, the surplus growth rates between the richest and the poorest countries will be roughly 1: 4-5 in each stage. Table 3: This is a bit faster version of the progress than the Table 4 that we are aiming for more. Table 4: this is a bit slower and practical version than Table 3. There can be various scenarios where URF can operate over the next 10-15 years, but the following is one of the possible timelines of URF reducing the global inequity very rapidly. These are relatively conservative estimations. The following is only a rough estimation as there will be various fluctuations of the GDP per capita growths.